Today is like the best day ever!!!! Why you ask?! Because it’s national chocolate chip day (which I am now abbreviating as national CCD)!!!! On a related/unrelated note, I embarrassingly signed up for an email alert to let me know of all of the silly national ___ days. Let’s just add another junk email that I will probably never read but what the hey! And to be honest, I only knew about this “holiday” because I thankfully saw it on one of my food bloggers Instagram yesterday. Regardless, it feels like the perfect day to recap my quest for the perfect chocolate chip cookie recipe. 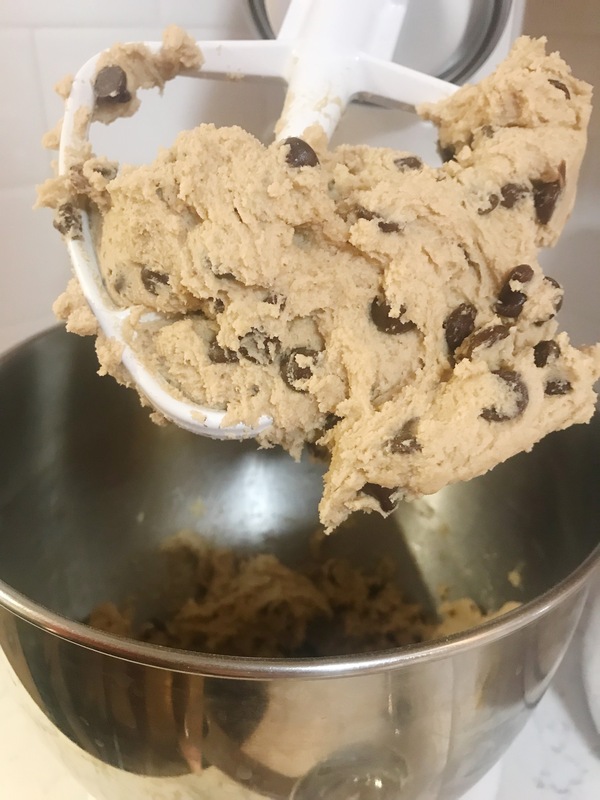 I think it was 2017 (that seems like so long ago now) that I sought out to find the best chocolate chip cookie recipe. I tried over 10 recipes only to find out that the NYT best chocolate chip cookie recipe, is in fact the best chocolate chip cookie recipe. I had many taste testers in 2017 (thank you!) and that one is still the fan favorite. But, for the fun of it, I’ve included some of the recipes that were contenders. Also, disclaimer about the picture in this post–they are all of the Gimme Some Oven cookies I made last night. Although they are no NYT, they are so easy and good! And when you’re still feeling the effects of your recent Mexico trip, you go for easy!! Picky Palate Pudding Cookies – if you like cakey cookies, this recipe is for you! 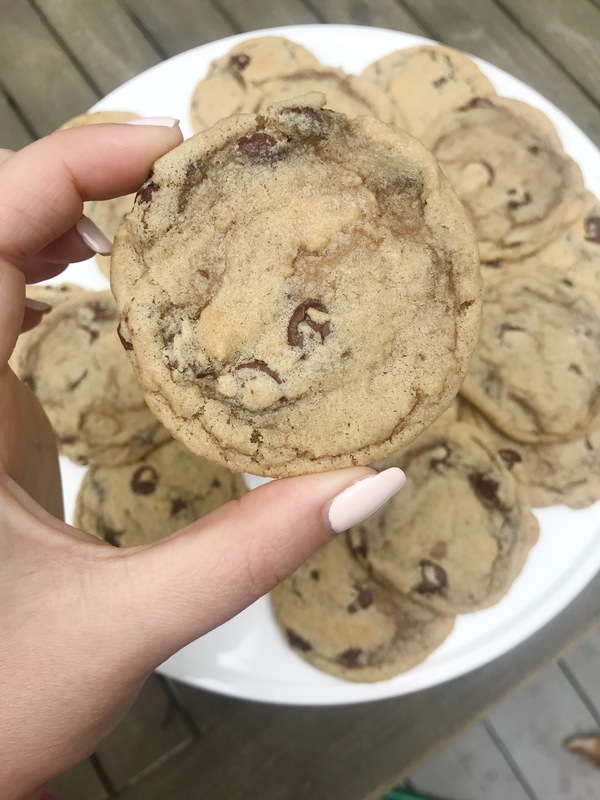 Gimme Some Oven – this is my GO-TO recipe if you need a delicious cookie that is SO easy and has minimal chilling. Also if you’re a person who likes to live on the edge with salmonella like myself, the dough is SO good. Lisa G Cooks Chewy Cookies – these are crispy on the edge and gooey in the middle which I loved. Next time, I’d up the salt a little! NYT Best Chocolate Chip Cookies – WOW! The flavor, consistency, & salt on top make these the best chocolate chip cookie I’ve ever had! They require a bit more planning because of the long chilling time (24 hours) but they’re worth it!